Congratulations! you are getting married, now it’s time to start planning your perfect blushing bride look, but let’s face it you are busy at work and have lots to plan. Planning your Wedding hairstyle and makeup look should be enjoyable and not stressful. You can trust Mirror Mirror Boutique Hair Salon’s super experienced wedding hairstylist specialists to create your dream wedding look and totally pamper you and your wedding party on one of the most special days of your life. Mirror Mirror Boutique’s team of hair stylists have years of experience in bridal hair styling and design. Having the pleasure of being involved in regular weddings they keep up to date with the latest bridal styles and fashion in hair. We love wedding styling and being a part of that special day. Ponytails, if you want to show off the length of your hair but don’t want it falling in your face, part your hair down the center and pull it up into a low or high ponytail, it can be curled or straight, messy or sleek. 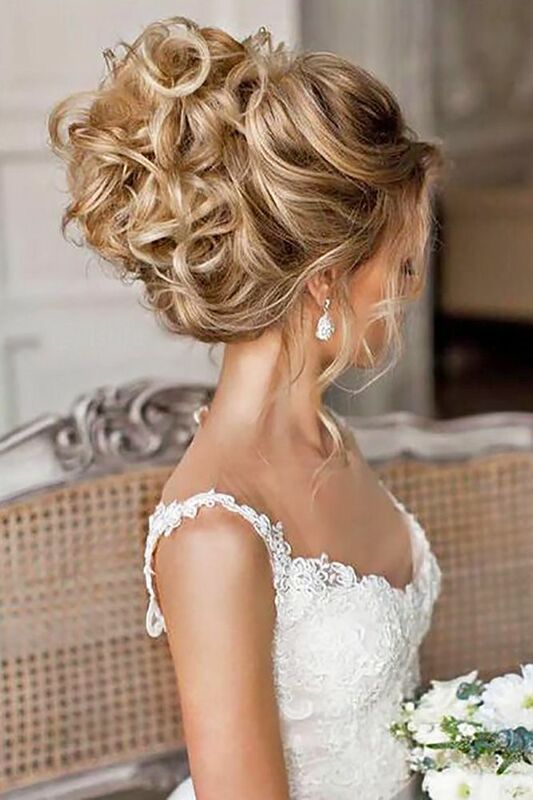 Loose bun is perfect for any bride on their wedding day. Simply pop the comb of your veil under your top knot and you’re ready to walk down the aisle. Buns, if a high bun is your signature style just by adding braids and twists to the bun can give you different looks. Buns can come in all different styles from your classic sleek to messy loose, low or high. My fav is the low sleek bun. Braids: Our side braids, inside braids, fishtail braids You can pop in to have done for a special event or just to get out of your face when playing sports. Also great idea for music festivals. We always like trying new things so bring in photos of styles you like and we can have a play. Contact us for pricing and what we can do for you!